Christian Homeschooling: Am I Teaching My Children the Right Things? 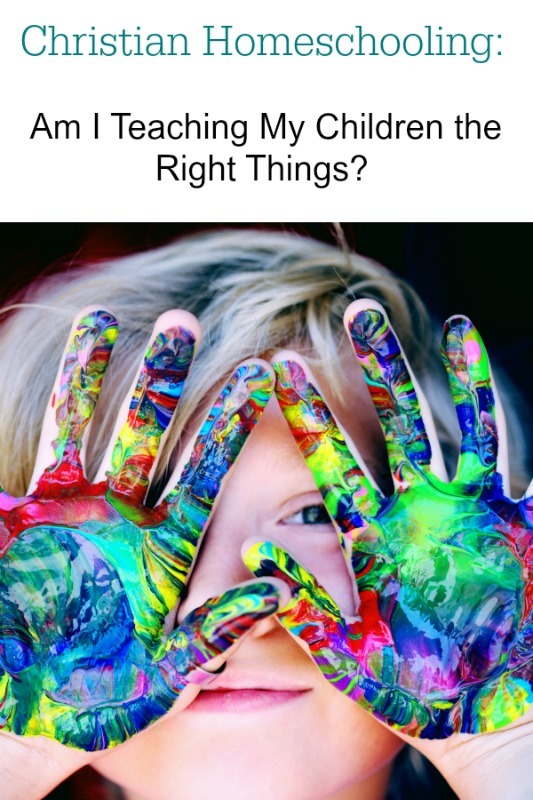 Even the most avid homeschool family stops periodically and asks, “Are we teaching our children the right things?” Heavily swayed by outside pressures and our own influence by the state’s agenda, Christians easily lose focus of our educational responsibility before the Lord. Sproul takes a practical look at Scripture and explains its rock solid instructions for telling parents how to educate their children for “the good life.” And the methodology? No, Sproul doesn’t throw out formal learning or text books. But he rightly challenges us to get our priorities in order as we follow God’s curriculum. He describes the three G’s–what the Christian’s goals of education should be: teaching our children who God is, what God has done, and what He requires of us. I could quote the whole book, but there are babies to teach and housework to be done. When You Rise Up by R.C. Sproul Jr. Many people teach their children so that they can learn something, get a good job and then settled down. Parents don’t want that their child should struggle like them. That’s why they want to be the best for their child.